A recent excellent article by Lawrence Forsley recounted each major step in the history of "hnot fusion" projects. The account depicts the arduous pursuit of hopeful and brilliant personnel chasing after a prize which never appeared. This chapter in technological history left most scientific researchers with a sense of silent despair. Exploration of this inward sense of loss was an emotional item which few actually and honestly addressed. Yet the projects rolled on. Hot fusion was THE cold war quest. Besides the space race, FUSION was the socio­scientific dream. The loss of hope ... the loss of myth ... in this massive social project produced a brooding meditation among engineers who were devoted to its fulfillment. For the better part of twenty years there were billions of dollars spent for fusion research ... seemingly in vain. Each lost social dream becomes social malaise. Wars develop when social myths are deferred. The synthetic manufacture of new and continual myths replaces the hope deferred. Governments and regulators sponsor such alternative myths continually. The gross funding of new fusion projects represents a means for maintaining public morale at a very subliminal level. The prize­elusive was replaced by countless journals, articles, and texts ... as if so much paper would fulfill the absence of the Grail. This general sense of misdirection among most physicists was balanced by a furious return to the chalkboards and publishing homes. The dream deferred became mere talk and analysis. Theoreticians, at least, found continual employment. Shelves of once optimistic theoretical works on fusion were suddenly flooded over with equally optimistic and authoritarian apologetics. These inflated works proclaimed the "way out" through newer magnetic containment systems. The tragedy of each magnetic containment device lay chiefly in the theoretical promise which always failed. The hope deferred seemed to flood each separate project not long after a particular device was constructed. One usually knew after the very first trial what the end would be ... and how soon it would come. In methodic succession, and after several billion dollars were spent it became apparent that the magnetic containment systems would not succeed at all. Mercurial and elusive, certain designers attempted to "steal the secret" despite the natural odds: to fight with Nature and wrestle from her jealous hands the guarded gold. Not one imagined that perhaps their method was the wrong one ... that Nature would not let go of her gold because the suitors were behaving like barbarians. The need for the gigantic was also a feature of these projects. No units smaller than a gymnasium could meet the theoretical need. Somehow both the theoreticians and project designers believed the delusion that size and symmetry would "make the difference" in magnetic systems. Always the secret hope was held that "this one might do it." Small laboratory devices produced unstable plasmas because they were small. Larger devices should produce more crushing power ... like building an ever larger press to squeeze a lightning bolt. Many project designers simply failed to promise a fusion achievement altogether from the outset ... preferring to maintain the "safe grounds of plasma analysis." The ancillary projects (instability analysis, arc analysis, plasma contamination, plasma diagnostics) made their appearance ... a flood of "studies" ... but no reactor. Grant money was poured into "plasma analytic methodologies" and almost dominated the scene where working fusion reactors should have stood. P. Kapitza studied ball lightning phenomena with a remarkably opened mind when few academicians would not even dare touch the topic at all. S. Ulam also studied reports of the accidental formation of plasmoids among submarine generators and arc switching devices. Others studied the piezoelectric formation of plasmoids in rock fractures. Thorough research on Tesla Technology (and Tesla's means for generating plasmoids at will) seemed to open doorways toward new possibilities. M. Theroux developed a special Tesla transformer which actuary projected small aerial plasmoids ... and could repeat the performance. The Air Force funded a much larger project toward this end (R Golka). Each was looking for the answer in a new realm. And this was the precise answer ... to look elsewhere for that which intuition envisions. Intuition craves confirmation however. Too few of these "new view" researchers were actually familiar with the archives of both natural and laboratory anomalies. No one remembers what has already been achieved in isolated laboratories. Very often a chance occurrence, however subtle, gives the new direction to the world. New hydrogen energy, you will remember, was observed by several qualified persons in diverse places. Had these records been forgotten, perhaps the new revolution might never have been forged. Were the hot fusionists true and ardent students of the stored periodical treasurehouse they too would not have simply written more surficial papers on their views. They would have known what to do to achieve the prize itself, for the answer was there ... in a group of patents some twenty five years old which should have been known by all of them collectively. Perhaps they would have found their way back to the forgotten mines ... but then came Tokamak. When the Tokamak rose in the east, it seemed to offer the brightest new morning of life for fusion research. Many stole away to steal the secret of its fire. But even the Tokamak failed to deliver the immediacy of its promised prize. So deeply resentful were many researchers after the postponement of immediate success that few would even believe that the goal could be reached at all. It is not unreasonable (given the emotional infrastructure of fusion research) that science had become first melancholy and then sanguine in all its subsequent discussions of controlled nuclear fusion. The topic represents (to the crusaders) a major dragon left undefeated. Most would rather forget the dream and all knowledge of it. Forgotten knowledge was the main problem. Even before magnetic containment was attempted, there was a simpler answer to the particle containment problem. In his closing paragraphs Dr. Forsley asks that we imagine the truths which were lost through out this period in venture­technology. An answer had been recorded into the scientific ledgers already which would have spared these valiant workers much time, money, and disappointment. Forgotten knowledge started all the researchers off in the wrong direction from the start. Unexpected devices of great import emerge from very old patent registers and periodicals. These developments span two hundred years of astounding technological progress, and chronicle our epistemological progress as a civilization. The literary treasure house of this time period contains incredible discoveries which remain yet unrecognized, unevaluated, and forgotten. Despite this fact, many academicians are overly confident that "old knowledge" has been thoroughly comprehended and admixed into contemporary theory and is, therefore, expendable. This view is inwardly believed to such a degree that old texts are methodically being gathered into "annex" warehouses. These treasures are then permitted to decay and are (gradually) eliminated. This shockingly repugnant pride is the very opposite of scientific sensibility. This mindset is counter­productive and totally self destructive. Each new unexpected discovery comes as a sharp rebuke to those who remain unenlightened concerning the past. Old texts preserve forgotten thoughts ... not disproven thoughts. Researchers have committed their often anomalous and disquieting observations and findings to the journals and texts. It is traditional practice that what cannot be now explained must be treasured, pondered, and comprehended for some future purpose. Discovery and anomaly are rare gifts which must be honored and preserved until understood. The scientific historian methodically searches out catalogues of forgotten phenomena by thorough examination of old periodicals, texts, and patent files. The retrieval of old and forgotten observations, discoveries, scientific anecdotal records, and rare natural phenomena provide the intellectual dimension desperately needed by modern researchers who work in a vacuum of dogma. It is astounding to find the volumes of rare and anomalous phenomena­lists and laboratory anecdotes made by credible and qualified Victorian researchers throughout older volumes of Nature Magazine and The Electrician (c.1890). The retrieval of inventions, designs, and other applications reveal repeatable phenomena "in application" which demand re­evaluation of tenaciously held theoretical models. The trained researcher identifies, distinguishes, and secures those particular forgotten discoveries which violate contemporarily held theoretical models. The aim of this research is new knowledge through reevaluation. Eric Dollard is an electrical engineer who has done remarkably exhaustive historical research and experimental verifications of scientific claims made by Nikola Tesla a century before. It was through Mr. Dollard that we learned about a forgotten chapter in the art of controlled thermonuclear fusion like no other. In fact, those who read this article may be shocked to learn the real truth abouttone specific "hot fusion" project from 1962 until 1967. The reality of anyone controlling fusion reactions ... and reaching self­sustaining reaction stage would sound bizarre to anyone familiar with the historical publications. Of all the venture projects chasing after the hot fusion Grail one group of researchers looked directly into Nature's brilliant face and saw her sparkling eyes. Mr. Dollard's research on unusual electron tubes led him into an exhaustive study of several vacuum tube designs patented by the father of electronic television: Dr. Philo T. Farnsworth. There he found the forgotten gem. 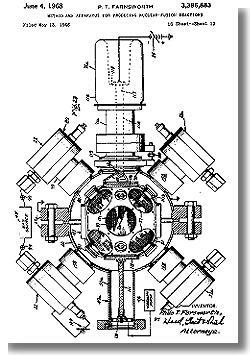 Among the incredibly prolific patents of Dr. Farnsworth are two working designs for achieving practical nuclear ("hot") fusion. Dr. Farnsworth is the original designer of true electronic television. He had to develop the entire system of electronic television with all its parts. Image dissectors, pulse transmitters, synchronizing oscillators, synchronous scanning, image analyzers, receivers, and special cathode ray tubes ... Farnsworth conceived, designed, and hand built each of them. The technological demands of his complete television system required the development of very special electron tubes from start to finish. Each component demanded new tube designs and operational theories. In fact, examination of the Farnsworth patents reveals nothing but novel tube designs without contemporary equal. Existing multi­element tubes could neither match the stringent power demands or frequency requirements of television. Therefore Farnsworth developed numerous unusual tubes to make his television oscillators, receivers, and transmitters more efficient. No existing technology could match the performance characteristics of his UHF oscillators, electron multipliers, and cold cathode signal amplifier tubes when he patented them. Farnsworth designed numerous high­power UHF tubes. Notable among these designs were cold cathode devices (some of which employed soft radioactive materials), photomultipliers, multipactors, IR imaging tubes, image storage tubes, and image amplifiers. Each was a marvel of originality and inspiration. But the multipactor was a true wonder. The multipactor design employs two opposed concave cathodes and a central series of cylindrical anodes. Noise surges generate and sustain powerful tunable oscillations within the multipactor when voltage is simply applied to the cathodes and anode. The multipactor utilizes photomultiplier effects to supply electrons. Multipactor performance borders on the anomalous, approaching "impossible" efficiency coefficients.. His success was followed closely by engineers from every military and industrial group. Full­scale research addressed the multipactor efficiency "problem". Reports from the time period may be easily secured for study and re­evaluation. Farnsworth continued to be a prolific designer of very unusual electron tubes before and after World War II. Casual examination of his patents continually proved the genius behind the legend. Dr. Farnsworth explored new alternatives and designed radically new concepts into a series of electron tubes which became as heralded as his development of electronic television. Each development produced in own species of anomalous phenomena These were each utilized and compounded in his successive developments. The patent record tells the story best. While testing high power UHF tubes Farnsworth discovered an anomalous self­focussiog space charge phenomenon. These space charge plasmoids glowed all the more brilliant with increasing application of voltage ... a control characteristic. He named these point­plasma phenomena "poissors". "Poissors are brilliant space­suspended plasmoids of star­like appearance. When Dr. Farnsworth operated his multipactors the poissor phenomena manifested themselves with special brilliance. Electron optical focusing concentrates ions just as mirrors concentrate light. Early Farnsworth multipactors utilized twin opposed concave cold cathodes. The design feature of concave electrodes was a radical departure in the world of electron tube designs at the time. Most electrodes of the day were simple planar surfaces. The concaves permitted the re­discovery of electron optics ... a phenomenon originally witnessed by Sir William Crookes and forgotten. Students are directed to the Crookes tube with its concave cathodes. Farnsworth multipactors and cold cathode discharge tubes produce optically focused "poissors" and exhibited all the response­control characteristics later sought by plasma physicists in their race toward achieving hot fusion. Control­responsive poissors would shrink in size, increase in ionic density, and produce more brilliant light with increasing voltage application. Notably discovered in 1936, the poissor phenomenon made a new breed of electron power tubes and plasma devices possible. The existence of these mysterious suspended plasmoids stimulated Farnsworth's research toward the refined use of electron optics. His refinement and use of the newly manifested phenomena produced remarkable performance efficiencies in UHF and SHF applications. In their unprecedented spherical geometries the Farnsworth tubes proved incredibly efficient and long lasting. Virtual electrodes could influence electron behavior in power tubes. Ions could be bound in small plasma points (poissors) exhibiting stability in ionic multi­layers and sheaths. Poissors could absorb and store energy: an aspect which deeply impressed Dr. Farnsworth. The time for their retrieval from the archives of the anomalous drew close. By 1953 he had conceived of a means for using the poissor phenomenon to produce controlled nuclear fusion reactions.. The patent record shows that Farnsworth achieved the goal. Yet, there are far more deeply entwined reasons why few have ever heard of Dr. Farnsworth's contributions and achievements besides the academic censure of this possibility. In 1959 H. S. Geneen (Raytheon) invited Dr. Farnsworth to address the ITT board of directors on controlled nuclear fusion. Against the verbalized misgivings of the AEC this lecture­presentation was given. 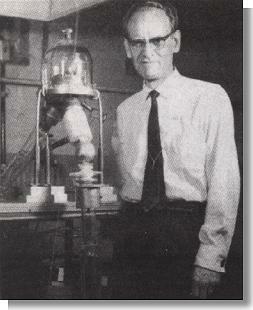 Shortly thereafter a preliminary test on the Farnsworth "Fusor" was performed in a small ITT basement laboratory. His first design for a hot fusion reactor was realized in 1959. ITT monitored all the research and brought its own supervisors into Farnsworth's team. Virtual poissor plasmoids of deuterium would be isolated, shaped, confined, treated, balanced, or moved without magnetic confinement. Farnsworth's solution to reactant confinement was elegant, simple, inexpensive, and highly efficient. He designed a new and dramatically original tube which he named "The Fusor". This was the summation of a lifetime's discoveries and development. I believe it is the most advanced electron power tube ever designed. The Fusor is a device which produces controllable hot fusion reactions and does not utilize magnetic confinement. The design is a radical departure from all the designs of its time frame. The Fusor is comprised of a spherical anode which concentrically surrounds a cathode. A plurality of ion guns are mounted on the anode exterior in spherically spaced and diametrically aligned relationship so that their beam axes intersect at the cathode center. Ions from the guns are propelled and focused into the center of the cathode. This establishes in the cathode interior a series of concentric spherical sheaths of alternating maxima and minima potentials: the "virtual electrodes". Ions never touch any surfaces in these tubes. Magnets are never needed. The ions which "fall" into the center-most virtual electrode have fusion energies, and are contained at a density sufficient to produce fusion reactions. Charged particles are literally compressed into the required density in the central region by the process of inertial containment ... a term in the art which Farnsworth first coined. Oscillating ions are concentrically gathered in a series of charge sheaths which conform to the optically focussed fields and which represent the distributed kinetic energies of ions in the poissor. Potential escaping pre­reactive ions encounter successive electrostatic repulsions until they are forced back into their center. The Fusor System proved stable throughout its forgotten seven year research history. With developed potentials of sufficiently high magnitude the fusion reaction can be sustained and controlled at will. Furthermore, fusion energy produces powerfully escaping nuclei which perform work against the anode field. This ionic pressure augments the applied field and appearing as a dramatic surge in field strength: one that may be directly harnessed and used in external loads as electrical power. The fears of a "runaway reaction" were handled in the natural equilibrium maintained by the poissor core structure ... as stars self maintain their output by expanding and reducing plasma density. Poissors were found to be remarkably resilient and resistive to instabilities. Farnsworth solved the confinement and conversion problems in one design. The field symmetries and process involved in achieving this variety of hot fusion seems macro-analogous to those characteristics being now explored in "cold" fusion. On October 8, 1960, the Mark I produced a steady­state neutron count when deuterium was admitted into the device with very low power application. The central feature during these tests was not the neutron count itself. What was sought in these tests lay in the control of the reaction under increasing power application. Farnsworth established and charted increasing neutron counts with increasing application of electrostatic power. It is suggested that the reader obtain and study copies of the Fusor (patent 3,386,883). With deuterium gas in the Mark II Model 2 Fusor a count exceeding 50 M­neutrons cc/sec was recorded at 80 Kv. and 30 rnA. input. This device produced 1.3 G-neutrons/sec. in a sustained reaction for more than one minute. These reactions were stable, completely under the operator's control, and could be repeated. On October 5, 1965 the Fusor Mark II­Model 6 was tested. A reconfigured, high­precision ion gun arrangement produced l G­neutrons cc/see at 20 Kv. and 1 mA .... a record achievement. On December 28, 1965 tritium was admitted into the test chamber ... producing 2.6 G-neutrons/sec. at 105 Kv. and 45 mA.. With a mixture of tritium and deuterium on the very next day Dr. Farnsworth's team measured and recorded 6.2 G-neutrons/sec. at 170 Kv.. The Mark III Fusor produced startling high records in quick succession. By the start of 196.5 the team was routinely measuring 15.5 G-neutrons/sec. at 150 Kv and 70 mA.. The final problem to be tackled involved the poissor itself. Self-containing and tightly layered, the fusion poissor would not admit fuel into its core once the reaction had begun. It must be remembered that this Fusor was softball­sized. A Fusor having a diameter of just one meter would permit greater ignition power for a smaller time period ... while multiplying output power volumetricallv. Dr. Farnsworth reported that his team achieved a self­sustaining reaction on several occasions ... and could repeat the effect. He once invited his wife to watch a test­run of this feat. As power was applied to the Fusor the neutron­reading meter achieved a steady threshold and there remained ... until a slight increment of power was applied. Then the needle went off the scale. Dr. Farnsworth cut the applied power ... but the needle remained in place for thirty seconds or more as the reaction continued. ITT gradually absorbed the entire project. All related patents were assigned to ITT as success was achieved in steady steps. While steady progress was being achieved at a modest cost (examine the photographs), lTT was being influenced by powerful professionally hired "opinion makers" to drop fusion research. Suddenly even Wall Street analysts were publishing their "concerns" for ITT and its absorption of the Farnsworth subsidiary. Farnsworth himself was made the focus of every corporate death-word. These outlandish accusations indelibly remain in newspapers from the time period. The suppression and assassination of technology is historically the response of frightened competitors ... response to an impending breakthrough which might wipe out competitors. Crowd pleasing philanthropists become predators when possible usurpers appear. The effect of such disappointment upon those whose lives and hopes are involved in such research is never superficial. In them ride the dreams of whole societies and futures. Those who harm such individuals do not survive in the long run. The price for the dreamer, however, is dear. Dr. Farnsworth suffered another stroke on a plane ride back home. He then retired to convalesce. During his recuperative period at home he decided that the Fusor should be developed to its complete perfection. ITT had formally and publicly stated that the Fusor was a "dead­end". Farnsworth thought that since this was their attitude, he might have a try at re­obtaining his patents. He therefore contacted ITT and honestly announced his intentions. The answer was negative and impersonal ... a curious response for a device which was a "dead-end"... given to such an eminent personage whose inventions maintain the entire ITT operation to this day. In quick successions, ITT asserted its complete ownership of all Fusor applications in the future. ITT warned Farnsworth that it would dominate all Fusor research forever ... despite its "unfeasibility". ITT then cut all formal financial ties with Farnsworth and left him virtually bankrupt. ITT now holds the Farnsworth patents ... and bears the social debt of responsibility for suppressing Fusor technology. 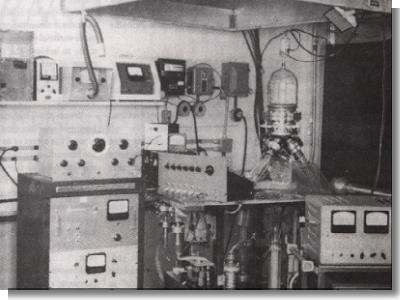 In July 1969 Farnsworth built a small Fusor lab in a Brigham Young University cellar room. With purchased equipment from ITT he continued his research with generous University support. Creditors were crowding him on every side. During this time an offer came to him from SONY. He felt unable to continue. Physically ill for a long time and emotionally scarred, he died from pneumonia in 1971. The aim of my article is not simply to re­expose mere technical facts ... but to explore deeper issues of science and society. Hot fusion was achieved, scrutinized, assassinated ... and suppressed. It is remarkable that few individuals in the fusion research teams across the world are even aware that their goal was realistically attained. The device which attained this feat was elegantly simple, but the movements of these social energies must first be clearly understood. Several questions now demand simple answers. What names were behind the obvious and deliberate attack on Farnsworth's Fusor project? How have these forces managed to keep Farnsworth's work completely suppressed? How is it that ITT never re­exarnined and duplicated the Fusor Project? Why are outrageously huge funds yet being supplied for Tokamak projects? Are these grant mix­appropriations deliberate or are they the inertial results of forgotten knowledge? Is the synthesis of artificial social myths accumulating ignorance among those who originally produced them? Those who are familiar with the lure of science archives understand very well that more potential technology lies dormant than is currently addressed, discussed, or implemented. Much of modern scientific research is the weak echo of work already completed within the last century. There are those who prefer to collect grants and assure themselves of bureaucratically "safe" experiments rather than ris} their yearly salaries on radically new scientific ventures. Survivalism among academicians is no less savage and ruthless than among other groups with whom we more often associate base behavior. There are those who use projects in "throw away" fashion just to survive. There are those whose jaded personalities have taken a survivalistic stance and already accept that hot fusion is a dead­end ... but a steady income. This kind of pessimism in the scientific field promotes status-quo technology and eventually blocks He paths toward adventure arid discovery wherever and whenever it can. Unfulfilled minds become pessimistic. Unchecked pessimism becomes maliciousness. The true and original artists of contemporary science are difficult to name except for those in radical technological ventures. It is rare today to find that kind of explosive scientific development which absolute saturates Victorian journals between 1880 and 1910. Yet we recognize that our Victorian mentors were responsible for the paths upon which we are now traveling. More radical discovery and technology were forged during the Victorian time period than is actually engaged today. Science also seems to have great difficulty in making simple assertive statements as did our forebears ... who produced a far greater weight of accomplishments. Science speaks of "statistical agreement" and "reasonably close correlations". Not one individual is willing or able to simply say "yes" or "no". I was not surprised when scores of non­committal authority pleasing academicians came forward to refute new hydrogen energy. It was rather like watching reflexive behavior in laboratory animals. I believe the next regulatory step will be to ban the production of these designs and devices outright. We should be prepared for the corporate onslaught. I personally believe that we should take our options as global citizens ... and cultivate the new technology among disadvantaged nations. One observes that the scientific community automatically digests potential possibilities whenever new unexpected discoveries manifest themselves. This again is that rigid kind of scientific dogmatism which holds forth the graven image of "the model" before the truth. The cultivation of new discovery is an unknown art in our day ... except among a rare few. What is "unexpected discovery"? Is it not the piercing reminder that theoretical models can never replace or truly confine natural reality? Yet there are those who have inwardly replaced reality with the model ... and defend the model to the death. The bright light of any natural anomaly or unexpected discovery is hated precisely because it is feared. The model for many scientific personnel is secretly their "lifeline" ... their mantra. These personalities are easy to identify. Unfortunately, in positions of power, they are formidable dissuaders of new technologies. Newly recognized phenomena and unexpected anomalies distinguish natural reality from all models. The trained scientific historian scours the sometimes rotting refuse of discarded periodicals with particular regret In these discarded stacks lie observations of enormous scope which were faithfully committed by their discoverers to the academic storehouse in hopes that these would be honored, evaluated, and admixed into newer awareness. Why is unexpected discovery feared and hated by financial dynasties ? New technology spell. ruin for those whose status­quo policy has eliminated them from the competitive race. Most very wealthy individuals are never passionate Makers. Neither are they true philanthropists. While removing the future on the one hand they make publicly acclaimed contributions on the other. The banal misuse of powerful positions wields control to stop progress. Regulating what discoveries are "permissible" precedes limiting "what can be known". In other words the control of discovery precedes the control of knowledge. The control of knowledge precedes the control of awareness. Mod of the world's greatest scientific potentials lie tragically forgotten in libraries throughout the world. It is indeed remarkable to discover forgotten scientific history in the journals and patent registers because such hinds" often answer current technological problems from a more fundamental level than is imagined. The libraries themselves are being systematically gleaned and old "inadmissible" knowledge is being eradicated. Several purposes underscore this paper. The first is recounting the story of Dr. Farnsworth's Fusor. The second concerns knowledge forgotten. We must never take the study and preservation of archival records lightly. The third aim encourages realization concerning "undefeatable" problems: they are intended to stop our progress along false paths. The fourth purpose lies in understanding the social ramifications of social dreams, new energy, new technology, and the corporate regulators of these social energies. The fifth is purely scientific: new hydrogen energy has produced tiny poissors in the solid state (Iyengar, Srinivasan). A mystical belief of mine deals with the suppression of truth by corporate regulators ... and the global consequences of such suppression. Discovery itself is a phenomenon. Discoveries are granted as tools of survival against future needs on behalf of our race. Of discovery I may say that suppression and manipulation results in an unstoppable reaction ... the frightening release of newer, simpler technologies in every corner of the world. This phenomenal dispersion so assaults would­be controllers that no one regulator may ever seize, quench, or destroy the new technological species. There are new discoveries to be made everywhere ... they never cease appearing. As stars which appear in the blackness of space, so too the miracle of discovery endlessly manifests. This new energy revolution is itself a phenomenon ... and win yield to those who pursue it the promise fulfilled. Return to: || The Farnovision || Comments? || Discussion?